This method of delivery makes sense for Amazon: it helps the company reduce labour costs while also contending with Uber, Google and Wal-Mart Stores in the growing market for gratifying customers who want orders filled instantly. It also carries risks: lawsuits from drivers who say they’re mistreated and the ire of regulators seeking to uphold workers’ rights. But the gamble could pay off because there’s a legal grey area over how to properly classify and compensate workers that’ll take years to sort out. So any penalties will likely be written off as a cost of doing business, labour lawyers say. Amazon declined to comment on the legal issues around its use of drivers for hire. Amazon has spent a year expanding its same-day delivery service to 24 metropolitan areas covering a population of 75.7 million, almost one in four Americans, according to data compiled by Bloomberg. Profits from the free two-hour delivery service may be secondary to the long-term goal of signing up customers for the $99-a-year Prime membership, as those subscribers typically spend about twice as much. Amazon, which has been using outside companies to handle the two-hour deliveries, began hiring on-demand drivers directly through its Amazon Flex program in Seattle in September. Drivers with a car and a smartphone can make $18 to $25 an hour, according to ad notices, and register for shifts through an app. Amazon says it’s coming soon to Chicago and New York, where it’ll compete to hire drivers with another quick delivery service, UberRush. Policy makers have been pressing to adapt 20th century labour laws as startups and established companies rely more and more on flexible work arrangements to cut payroll costs by as much as 40 percent while offering home delivery. It’s also spurred a raft of litigation. In October, drivers sued Amazon in Los Angeles state court making claims echoing earlier cases in California against Uber and its rival, Lyft Inc. The next day, a complaint against Google Express was filed in Massachusetts. Typically, contractors pay their own expenses and aren’t protected by minimum wage and overtime laws. But companies may save most by not paying unemployment insurance, workers compensation and Social Security on them. Amazon has gained an edge in other areas by exploiting legal loopholes. For years, a grey area of interstate commerce allowed Amazon customers to avoid sales taxes charged by brick- and-mortar rivals. And even if the drivers win, it probably wouldn’t be a major setback for Amazon. With more than 200,000 employees worldwide, the company doesn’t rely heavily on contract drivers as Uber and others do. Still, lawyers say the California lawsuit is a threat because state laws make it easier for workers to prove they’ve been misclassified as contractors. They can also win reimbursement for business expenses that isn’t available under laws in other states. The case was brought by the same lawyer, Beth Ross, who negotiated a $228 million (roughly Rs. 1,551 crores) settlement on behalf of about 2,000 California drivers last year over similar claims against FedEx Corp.
By Ross’s reckoning, the several hundred Amazon drivers she seeks to represent in California are making an average of $11 an hour, and out-of-pocket expenses may leave them with less than the $7.25 minimum wage. Amazon doesn’t hire through the Flex program in the state. She’s demanding they be classified as employees and reimbursed for mileage and expenses, overtime and missed meal breaks. In 1989, the California Supreme Court said cucumber harvesters can’t be treated as independent contractors simply because they weren’t told which row to harvest first. Since Amazon exercises a great deal of control over how its drivers work, it’ll be difficult to argue they’re independent contractors, according to Eric Kingsley, an Encino labour lawyer who isn’t involved in the case. Under their agreement with a courier service managing Amazon’s Prime Now deliveries in Orange County, the drivers had to report for their shift at the Amazon warehouse in Irvine. There they waited in line for assignments, then had to make deliveries in a specified order, according to the complaint. “With the two-hour delivery window, this is total control,” Kingsley said. 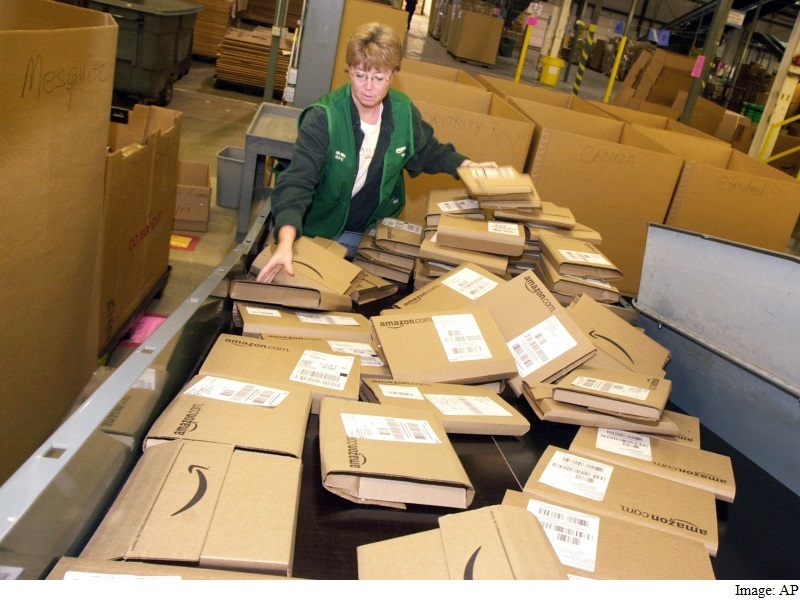 Amazon has said the intermediary delivery services it uses comply with local laws. Employers often use a third party to add another layer against legal claims, said Shannon Liss-Riordan, the lead lawyer on behalf of drivers suing Uber and Lyft. This may run up against a new California law that would hold Amazon, as the ultimate employer, responsible for violations by its labour contractors, said lawyer Alicia Anderson. “Nobody knows how the courts are going to interpret this law,” Anderson said.